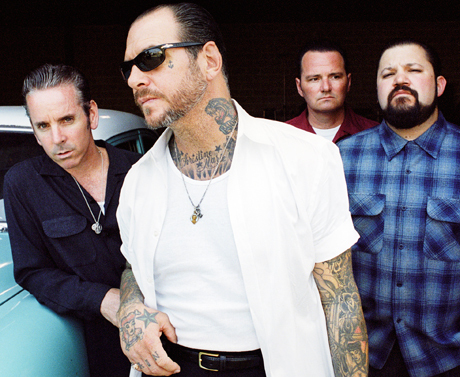 Social Distortion just wrapped up a stretch of West Coast dates this past May, but the legendary punk band will get back on the road later this fall to further rep their recent Hard Times and Nursery Rhymes LP. The act's upcoming 16-show trek kicks off October 11 at Chicago's Vic Theatre, and it won't be long before they head up to Canada for a couple of concerts. Social D's north-of-the-border performances take place at Toronto's Sound Academy on October 20 and at Montreal's Metropolis on October 21. You can check out the full schedule down below. While earlier this year, Social Distortion made their way around the continent with Frank Turner and the Toadies, this upcoming jaunt will feature opening sets from Canadian-born folk artist Lindi Ortega and rawk enthusiasts the Biters.